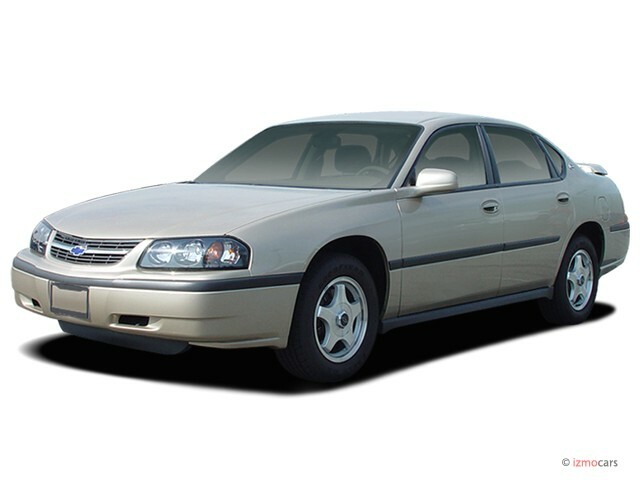 There’s just no way the current front-drive Chevrolet Impala will ever be the car people think of when they think “Chevy Impala.” It’s just a name too rich in history and affection and this current car — whatever its virtues as a transportation appliance — doesn’t fit with the V-8-powered, rear-wheel-drive mystique. Whether that mystique is warranted or not is another subject altogether and will surely soon be a multi-volume set from Motorbooks International. For 2004 Chevy practically beggars acolytes of the Impala faith with the introduction of the new SS version of the Impala. The true believers still holding on to their ’61s, ’65s, and ’93s will never accept this car as a true Impala SS, even though this one has a supercharger atop its engine. But a car’s worth isn’t determined by the opinions of a small group of fanatics. It’s determined by my opinion. At least in this pixellated context. In a multi-cam, multi-valve, variable-timed, light-alloy world, GM’s 3800 V-6 is, with or without supercharger, an iron-block throwback. It has but one cam, just two valves over each piston, the block is cast from pure easy-to-obtanium and it first entered production back when there was a Kennedy in the White House and a Kruschev in the Kremlin. Even the supercharged version itself has been around since 1992. Sure this is an engine that’s been thoroughly refined and massaged over its 42-year history, but it’s still a 42-year-old engine. It also happens to work very, very well. 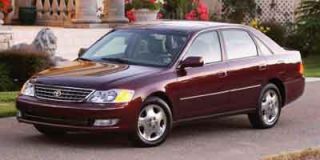 Since the front drive Impala’s introduction for the 2000 model year, the naturally aspirated version of the Series II 3800 V-6 has been part of the mix. Though the standard engine in base Impalas is a lackluster 180-horsepower version of the 3400 3.4-liter, OHV, 60-degree V-6, virtually all the Impalas sold to retail customers have been equipped with the 3800 200-horsepower, 3.8-liter, OHV, 90-degreee V-6. 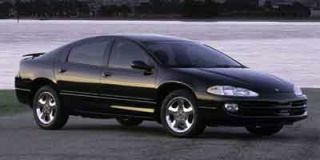 Throw on the fact that the Impala itself is built atop the same basic structure as cars like the Pontiac Grand Prix and Buick Regal that are already offered with the blown 3800, and it’s obvious how slight the effort to put the more powerful engine in this car needed to be. In the Impala the supercharged 3800 is rated at 240 horsepower which is 20 horsepower down from the rating it carries when installed in Pontiac’s Grand Prix GTP and identical to its output in Buick’s Regal GS and Park Avenue Ultra. The supercharger is still a belt-driven Eaton Roots-style blower with an integral wastegate and it still sits in the valley between the cylinder banks. There’s a slight hint of supercharger whine, but for the most part the engine is quiet and surprisingly smooth considering its Pleistocene origins. Compared to engines like the 270-horsepower, 3.5-liter, normally aspirated V-6 in the Acura TL or any of the various versions of Nissan’s VQ35 family of 3.5-liter V-6s, the supercharged 3800’s 240 horsepower seems very modest. However the 3800 grunts out 280 lb-ft of peak torque while the engine in the TL can only muster 238. And while the Chevy’s torque production tops out at just 3600 rpm, the Acura needs to spin all the way to 5000 rpm to reach its less fulsome summit. Sure, the blown 3800 doesn’t leap for its modest 6000-rpm redline like the import competition, but it doesn’t need to and it’s relaxed in day-to-day use. Ultimately the supercharged 3800 does a pretty good imitation of a good-running, mid-Nineties, GM small-block V-8 — something like the 260-horsepower, 5.7-liter, LT1 V-8 installed in that era’s Impala SS. And that ain’t no bad thing. Backing up the 3800 is GM’s nearly-as-familiar 4T65-E four-speed automatic transaxle. Sure a lot of the competition has moved on to five-speed automatics, but this transmission shifts confidently and, considering the engine’s low-end talents, the fifth cog just isn’t missed. A zero to 60 mph clocking just below 7.0 seconds (Motor Trend’s guess is 6.8 seconds), seems about right. Beyond that, the gearing is so conservative that the engine turns less than 2000 rpm at 70 mph. That results in EPA fuel mileage numbers of 18 in the city and 28 on the highway and, for a 3606-pound car, that ain’t bad. The Impala’s chassis is like David Broder’s column in The Washington Post: an unchallenging regurgitation of conventional wisdom. The front end rides on MacPherson struts and the rear gets similar struts of its own. The unibody structure is relatively tight and rattle free, the steering is by power rack-and-pinion and there’s a disc brake behind every wheel (ABS is standard on the mainstream LS and the SS). It’s strictly unadventurous stuff. GM ups the Impala SS’s front stabilizer bar from the base car’s 32 millimeters to 34 and bumps the rear bar up from 14 millimeters to 19.5. Dual-rate coil springs replace the non-linear coil springs used on other Impalas and the shocks have been appropriately retuned. The most obvious difference between the SS and other Impalas are the wheels and tires. While other Impalas wear 16-inch wheels and P225/60R-16 touring tires, the SS gets 17-inch wheels and P235/55R-17 tires (in the test car’s case, Goodyear Eagle RS-As). Spanning 200 inches long overall, riding on a 110.5-inch wheelbase, and a husky 73.0 inches wide, the Impala isn’t a small car. 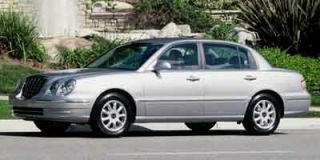 In fact it’s a full 10.7 inches longer than an Acura TL, even though the wheelbase is only 2.6 inches more extravagant. But GM has done a remarkable job tuning the chassis; this car is nimble, relatively quiet and responds remarkably well to steering inputs despite an early transition into understeer. The steering system’s communication skills are a bit autistic, but it’s predictable and weighted to present at least the illusion of feedback. In normal commuting the Impala SS is a hyper-normal commuter. Hit some mountain roads and the car can be an enjoyable companion, especially if the driver stirs the floor-mounted shifter himself/herself/whateverself. The engine pulls the car with some authority out of corners and the SS stays flat and mannered even under relatively heavy braking. It’s not really a sports sedan in the BMW sense of the word. 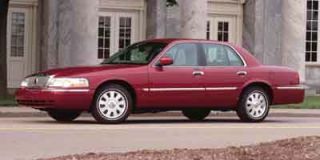 It’s more like a Impala 9C1 cop car with better tires — the front-drive equivalent of the ’93 to ’96 Impala SS which was based on the Caprice 9C1’s chassis. In that one particular way at least, the old and new Impalas are alike. Let’s not put too fine a point on this: The Impala SS interior is a disaster. The front seats are unsupportive in shape and have short bottom cushions that abandon the driver’s legs at mid-thigh. The rear seat has a short bottom cushion too and the child seat anchors are left uncovered behind it. Every piece of interior plastic feels cheap to the touch, the carpeting is chintzy and the lighting is skimpy (for instance, the shifter lives in a dark void between the front seats without a lit PRNDL indicator). Just putting the key in the ignition can be an unsatisfying experience as the driver’s knuckles knock up against a plastic dash panel with a cheap plasticky clank that sounds like a drumstick hitting the roof of a Fisher-Price Loving Family™ Dollhouse. In the interior’s defense, it is pretty roomy, the instrumentation is easy to read, the leather wrap around the otherwise boring steering wheel feels good, the ventilation controls are intuitive, the HVAC system itself works splendidly and the gray leather upholstery with the inevitable “SS” logos seems rugged if not overly supple. Those are virtues, but they fall far short of compensating for the interiors profound vices. It’s one thing if this interior was in a loss-leader fleet vehicle, quite another for GM to expect retail customers to pay 60 months worth of financing while sitting in it every day and not resenting the cheesiness before the third payment is due. Those won’t be small payments either since the Impala SS’s price starts at $27,335 and easily crests past $30K with addition of the 1SC convenience group (cargo net, steering wheel radio controls, trip computer, OnStar, etc. ), power and heated seats, and XM radio. Wearing monochromatic black paint (the only color available), a deck lid spoiler, a deeper front fascia with integrated fog lamps and those 17-inch wheels, the 2004 Impala SS has some real presence and personality. And with its supercharged engine and surprisingly agile chassis it’s not without ability either. GM got so much right with this car that it’s even more frustrating that its interior is so dang lousy. 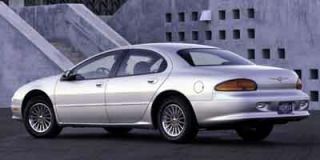 Of course it would be great if GM were to bring back a new Impala with rear-drive and a V-8. And if the rumors are correct, something like that is exactly what to expect in the next few years. That might be enough to bring the old Impala enthusiasts back into dealers’ showrooms. But if Chevy is to attract buyers beyond that, it will need a well-detailed, world-class interior too. Still runs great after 200700 miles. Car is roomy .. comfortable .. fairly quick .. and has very little work outside of normal replacement parts and maintenance.